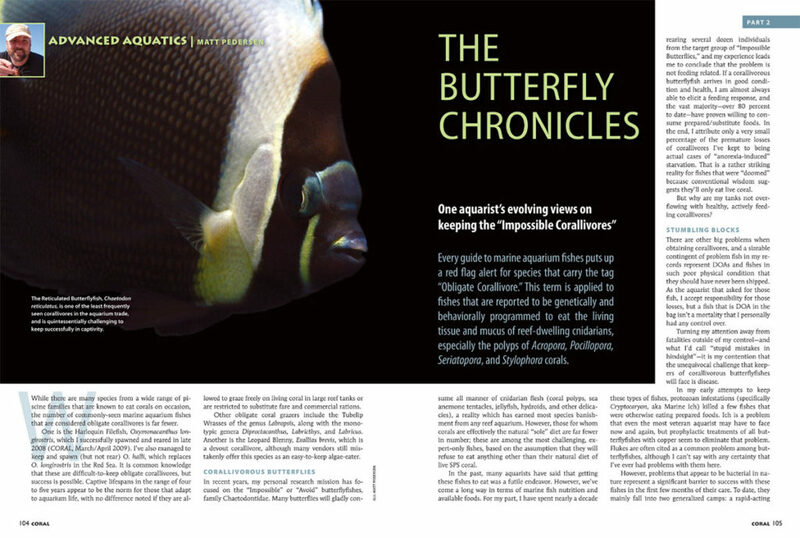 The “Black Ocellaris” from Darwin, shown spawning here, poses questions that need answering. 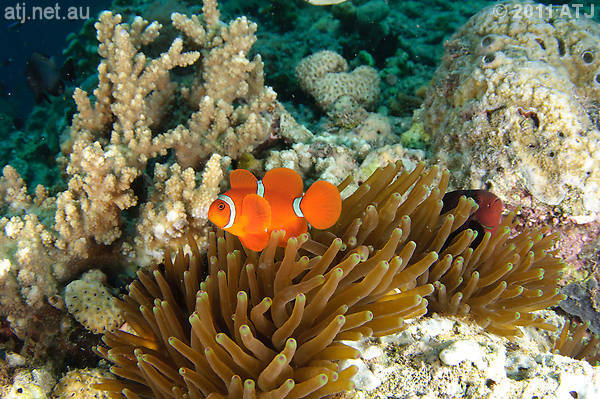 Clownfish Species Hiding in Plain Sight? 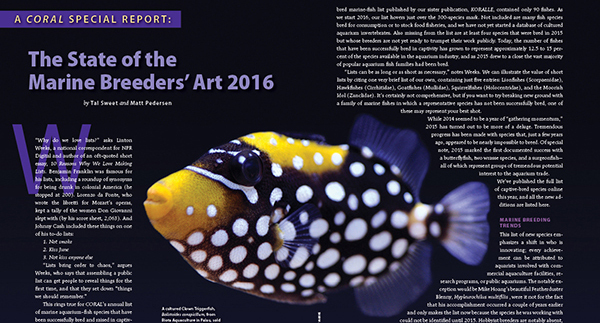 It has happened countless times before; a fish species enters the aquarium trade misidentified or even unidentified. Or a group of fish enter the trade and the get lumped together under some already well-known species. Often it is someone in the trade, or even a hobbyist that realizes something isn’t right. 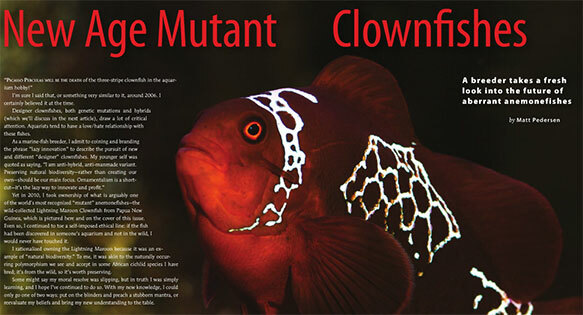 Just as Amphiprion barberi entered the trade first as A. rubrocinctus, before being considered A. melanopus, and only recently finally being described as A. barberi (see prior installment), so too we may have other examples of taxonomically definable “unique species” masquerading as variants or morphs, awaiting reexamination. 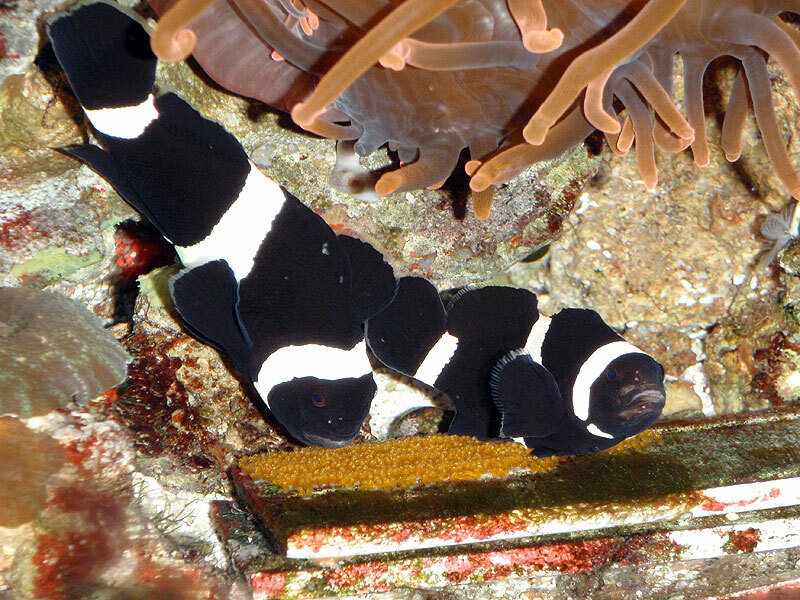 The black form of the A. ocellaris is generally referred to as the Darwin or Black Ocellaris. This population of solid black and white Percula-complex fish is reportedly only found around Darwin Australia. 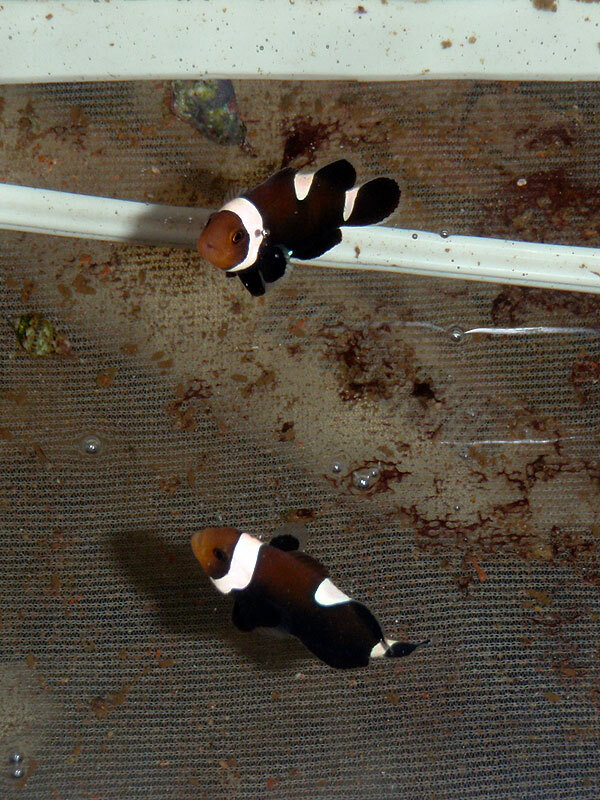 Photographs of any species of clownfish in the waters of Darwin are rare; most show A. rubrocinctus, so confirming the very existence of this “black” form as originating from the wild has been difficult. 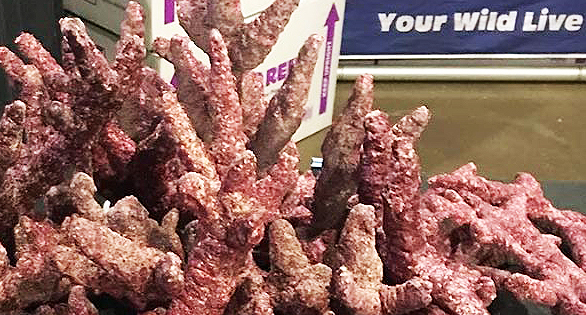 However, a single image shot by a hobbyist collecting fish during low-tide on location in Darwin, confirms it is indeed found in the wild, and not a captive-originated color form as some have suggested. I have found no documentation, text or photograph, of the Orange A. ocellaris occurring anywhere in the region, which suggests all reports that the “Black” form is both wild, and the exclusively from Darwin (and presumably other areas of Northwestern Australia), are legitimate. 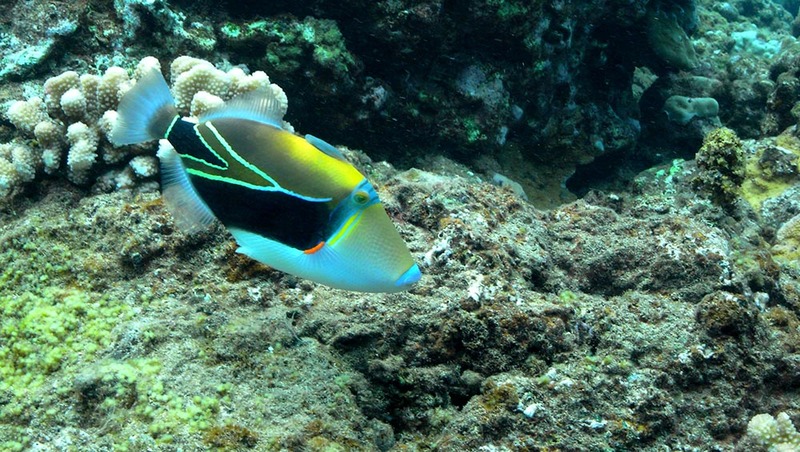 It bears mentioning that at times, there almost seems to be as much rumor that “Black” Ocellaris are found outside of Darwin in other locations. I’ve seen no compelling evidence of this, but there are darker, more brown forms of Amphiprion ocellaris found in certain regions. The Black Ocellaris from Darwin Australia is dramatically different in appearance from all other “Ocellaris”. But is coloration alone enough to warrant taxonomic reevaluation? Aquarists have long known that Darwin Black Ocellaris differ from typical A. ocellaris (Orange Ocellaris) in several ways. 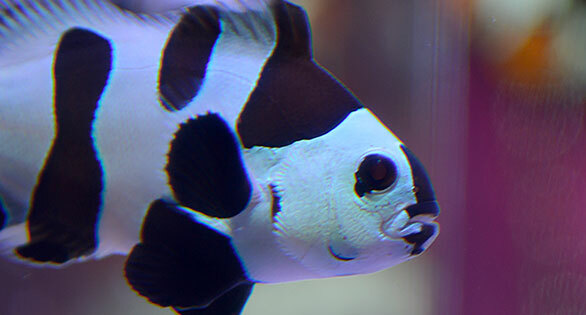 The obvious difference starts with the fully black and white color pattern; Black Ocellaris can show orange as juveniles but mature into solid black fish. 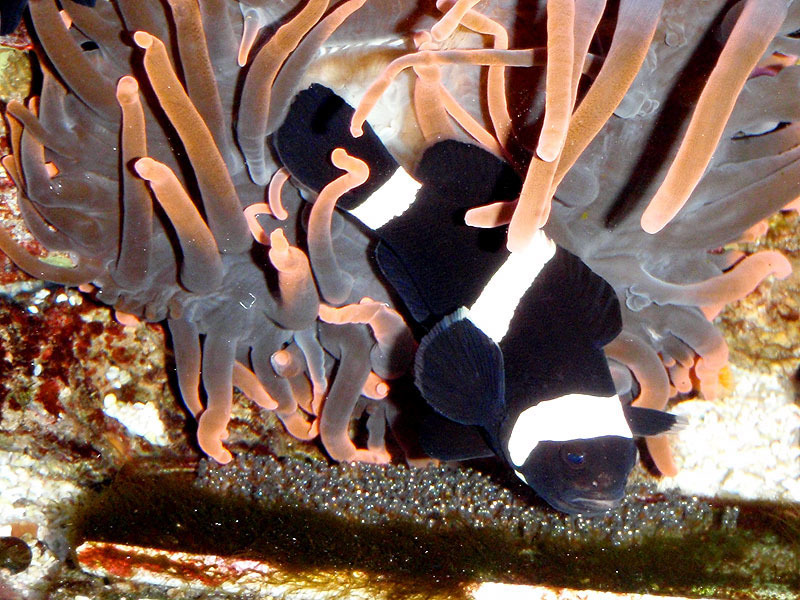 All signs in cultivation suggest this has nothing to do with a host anemone, but rather is the genetic, programmed coloration of the Black Ocellaris. (Interestingly, a similar scenario is seen in a unique population of “A. clarkii” several thousand miles away). 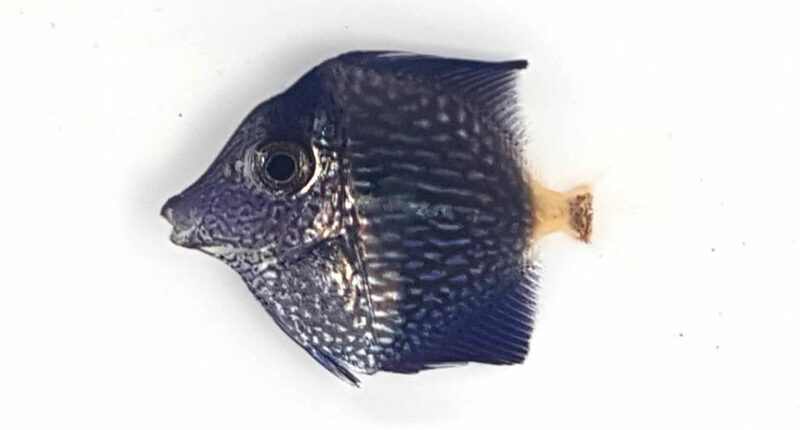 It seems that the Black Ocellaris seems to take longer to mature (up to 3-4 years for a functional female Black Ocellaris, vs. 1.5-2 for typical A. ocellaris). 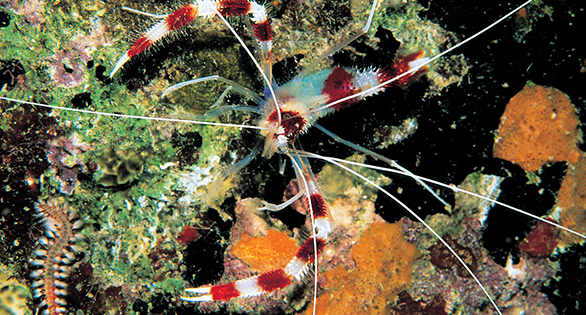 Black Ocellaris are notorious for having smaller clutch sizes and poorly structured nests, in contrast to generally large and well-structured nests of A. ocellaris. Black Ocellaris are also very prone to misbarring when being reared in cultivation. 60-day-old Black Ocellaris from the spawn above, and they’re already misbarred for life. 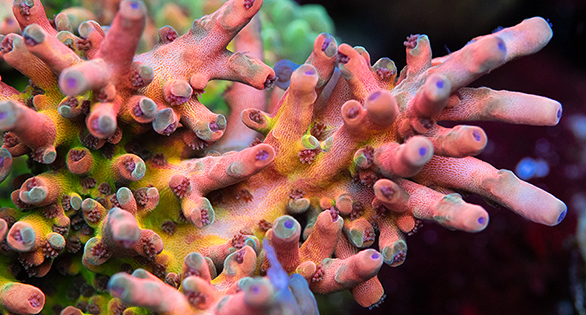 When aquarists start to look at the story told by these observations, it seems that we are listing traits of A. percula, not A. ocellaris. From a taxonomic standpoint, these observations are neither properly quantified, nor are they grounds to describe a new species. 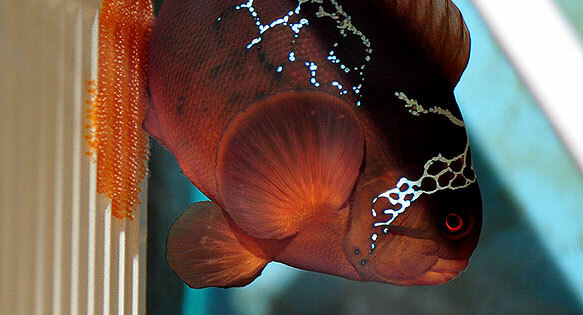 Another sticking point is the way Black Ocellaris genetics interacts with that of Orange Ocellaris. If the hypothesis was that the Black form of Ocellaris in Darwin was the result of a mutation being selected for within a sub-population (I think about, among other things, the population of all-white Squirrels that live in downstate Illinois among other locales around the US), then potentially such a mutation should be rather easy to discover and isolate in breeding. However, when breeding Black Ocellaris to Orange Ocellaris, and subsequent back crosses to parental “species”, it becomes clear that the joining of Black Ocellaris and Orange Ocellaris creates the intermediate form that we now call MOCHA. In back crosses, we do not see an immediate removal or restoration of any “black gene” of any sort, but instead a proportional re-blending of the appearance approaching one parental form or the other. And it stands to reason that the mating of a Mocha to a Mocha simply begets more Mocha, remaining basically 50% Black Ocellaris, and 50% Orange Ocellaris. In short, the mating between these two forms results in a strong and consistent blending of traits, which is a predicable result when creating a primary hybrid (generally thought of as a hybrid between two species) and suggests against the hypothesis of one or two random mutant genes simply occurring in an isolated population and becoming the dominant (or exclusive) form in that area. Perhaps the most compelling information we must consider is the fundamental reported geographic isolation of the Black Ocellaris on the northwest coast of Australia. It turns out though that there is a large biogeographic barrier separating the Black Ocellaris from the typical orange-colored A. ocellaris of Indonesia and beyond. 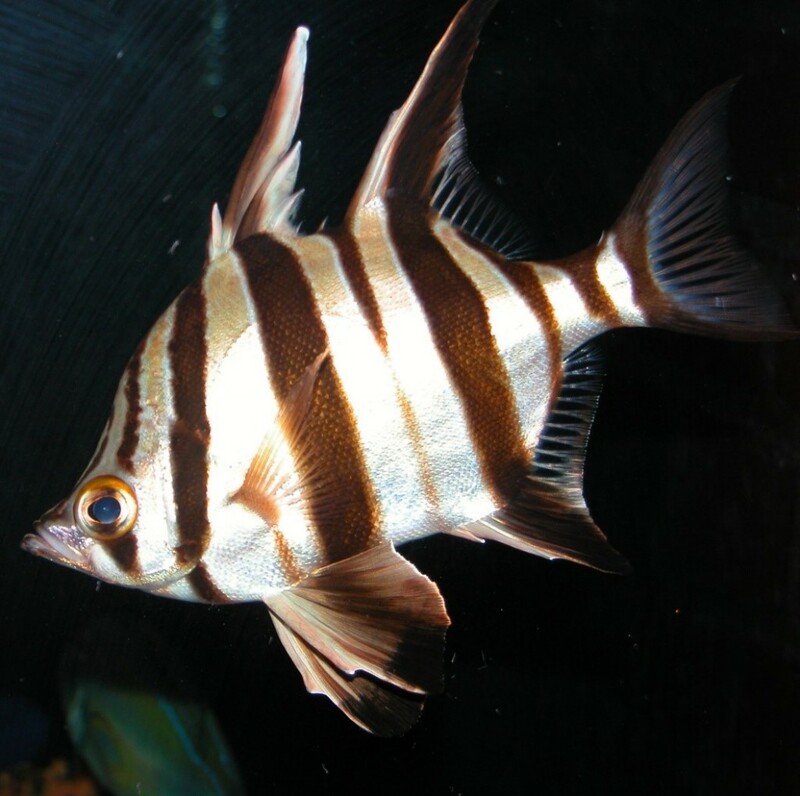 This same barrier is what separates the Banggai Cardinalfish, Pterapogon kauderni, from its closest relative, the Sailfin Cardinalfish, Pterapogon mirifica. 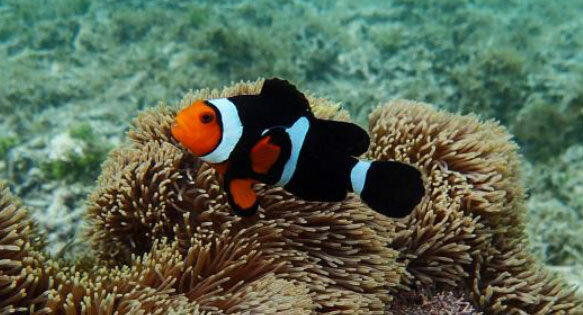 Furthermore, this same geographic separation also exists between the Tomato Clownfish, Amphiprion frenatus, from A. rubrocinctus on the north coast of Australia, as well as separating a very distinct from of Black Australian Amphiprion clarkii from its northern relatives. Do you see the pattern? It is perhaps this biogeographic observation that presents the most compelling in the push to get the Black Ocellaris taxonomically reexamined (and probably the Ningaloo Reef Amphiprion clarkii aka. “Black Australian Clarkii” while we’re at it!). For those who want the jargon, might we be looking at allopatric speciation? 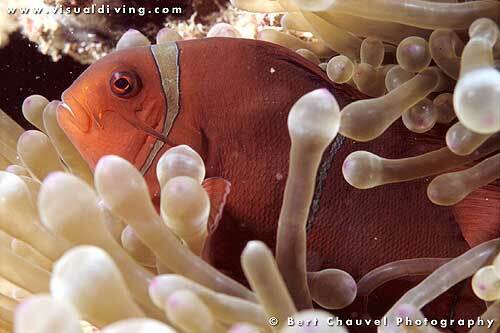 The Gold Stripe Maroon Clownfish; Premnas sp. epigrammata? 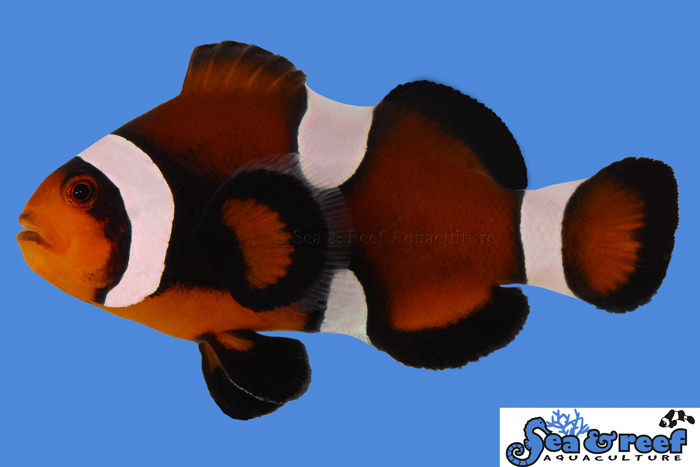 The Gold Stripe Maroon Clownfish (often shorthanded GSM) is currently considered to be a variant of Premnas biaculeatus. Once again, a division that at first seems to be solely coloration proves to be just the start of it. 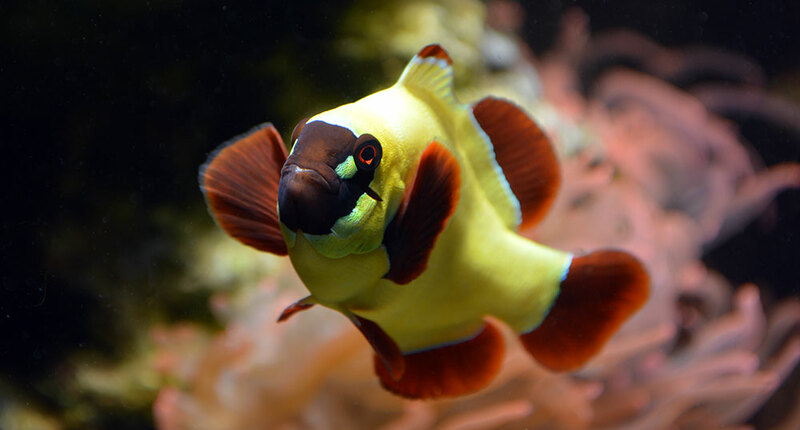 Most breeders are quick to cite that Gold Stripe Maroons lack the truly belligerent, murderous personalities of their White Striped P. biaculeatus counterparts (often simply called WSM). This differing level of aggression is so notable that White Stripe Maroons long fell out of cultivation preference not simply because Gold Stripes were more in-demand (and more valuable), but moreover that Gold Stripe Maroons proved easier to pair and easier to rear without juveniles destroying each other in growout. In a situation similar to that of Black Ocellaris, the online rumors of breeding between Gold Stripe Maroons and White Stripe Maroons further support the notion that these are distinct forms. It is claimed in long-standing, unsubstantiated anecdotes, that the resultant hybrid offspring between a GSM and WSM are intermediate between the parental forms – they may have bar widths in between the parental forms, and those bars may develop a tinge of yellow upon maturity, lacking both the strong yellow of the Gold Stripe parent, nor the crisp white of a White Stripe Maroon in its prime. Gold Stripe most certainly is not a single mutant gene if we believe the rumors…the purported offspring of matings between White Stripes and Gold Stripes once again conform with what we expect to see in hybrids between species (or at the very least, geographically distinctive populations that in the past might have been thought of as subspecies). It turns out that the Gold Stripe Maroon is on the “fringes” in terms of geography. 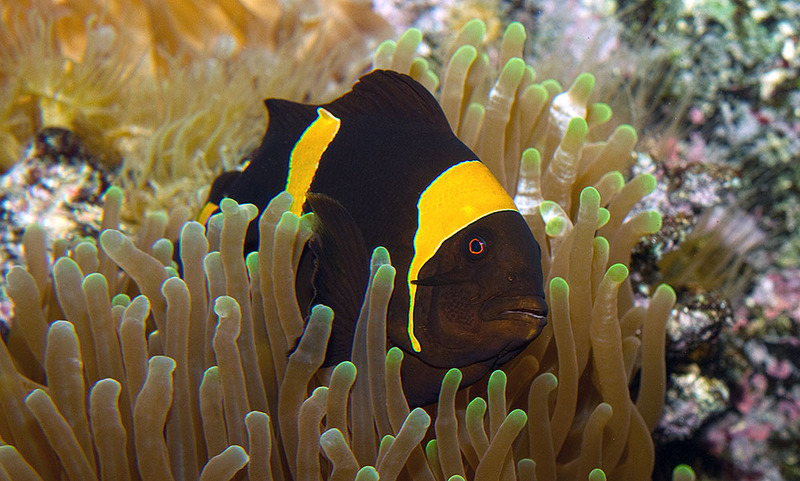 Most all references cite that Gold Stripe Maroons are native to, and restricted to, Sumatra. Additional known locations for Gold Stripe Maroons can be confirmed through in dive photos from the Andaman & Nicobar Islands further north. 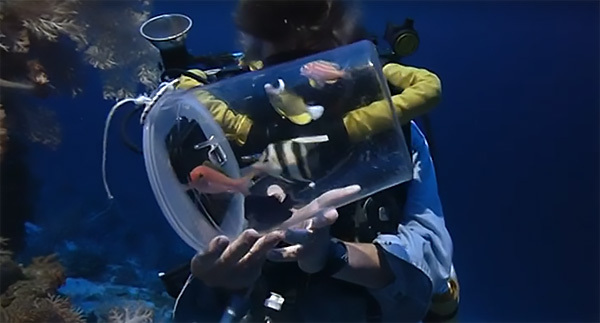 These locations are the very far extreme west of the currently defined range for Maroon Clownfish; in fact, we may well be looking at the Gold Stripe technically living in the Indian Ocean, with all White Stripes living in the Pacific. This distribution may in fact once again coincide with known biogeographic barriers that might separate other taxonomically distinct species. 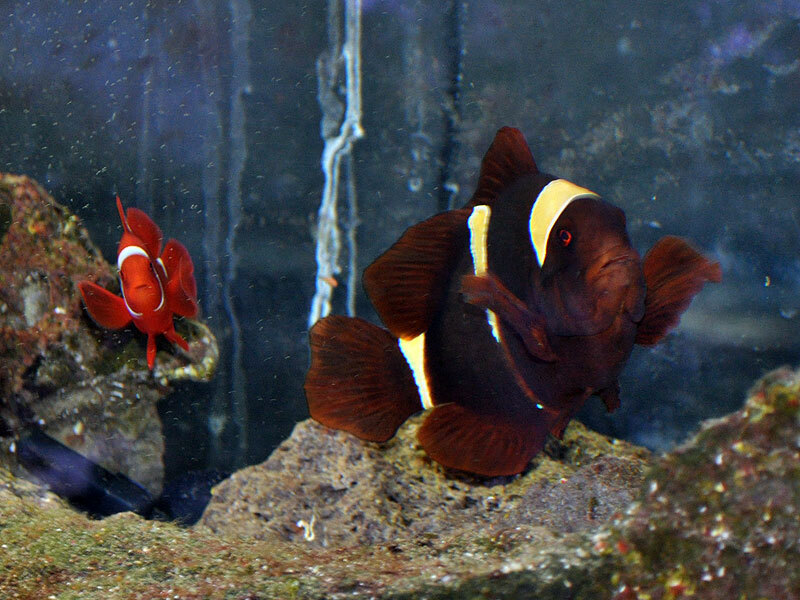 A young White Stripe Maroon, Premnas biaculeatus, from PNG is at left. A large adult female Gold Stripe Maroon, P. sp. epigrammatta, is at right. This may all be further supported by the fact that the Sumatran Gold Stripe Maroon was in fact at one time described as Premnas epigrammata, Fowler, 1904, a species name I may argue to resurrect. 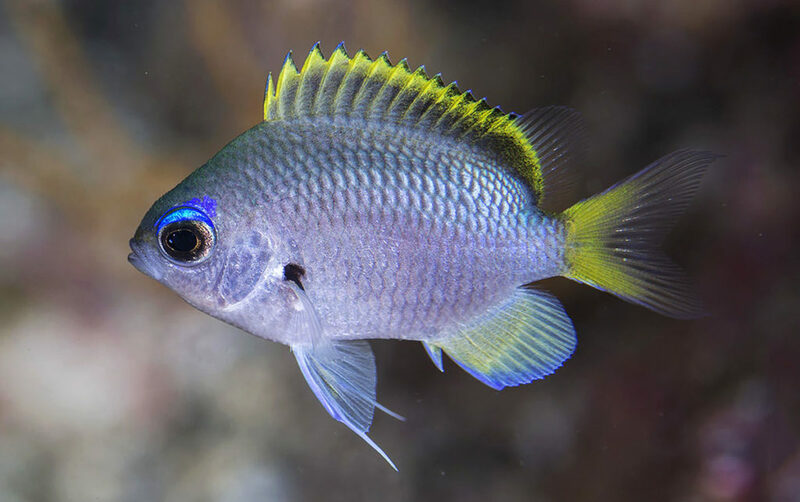 Another permutation of the name as P. epigramma has been published on occasion. 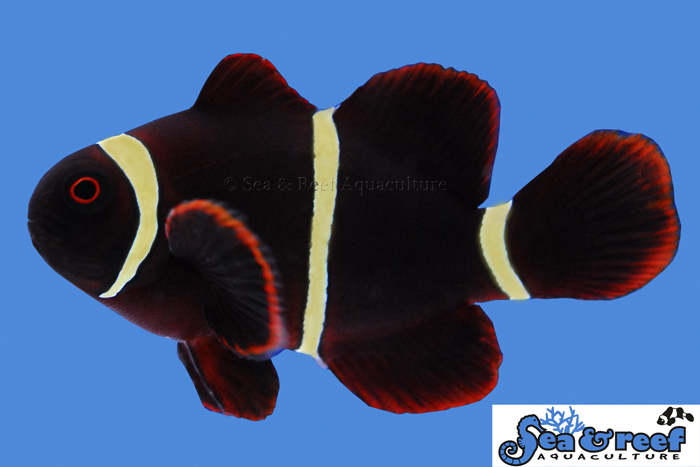 While the Gold Stripe Maroon Clownfish was treated as synonymous with the White Stripe group by Allen in 1991, it’s noteworthy that both Quality Marine, and Netherlands-based Dejong Marinelife currently utilize the name P. epigramma for Gold-Stripe Maroon Clownfish, and in fact the name seems to be in widespread use in Europe. Clearly, the aquarium keeping world is not buying into the lumping of Gold Stripe Maroons in with their White Stripe cousins. There have been recent suggestions that “Gold Stripes” are not restricted the Indian Ocean, but may occur in the west Pacific. At least one supplier may be offering Gold Stripes from Malaysia. 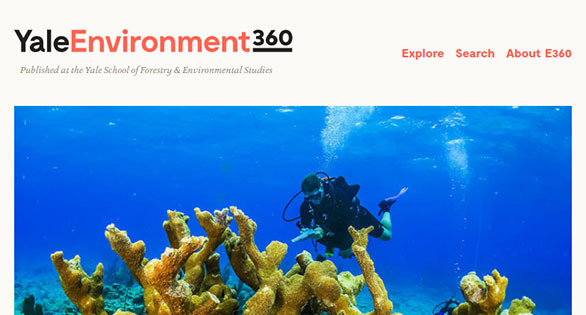 This could simply turn out to be “Sumatran fish by way of Malaysia”, as all Malaysian dive photos I found show fish we’d consider White Stripe Premnas biaculeatus (see examples from South Point, Pulau Sipadan, Malaysia, and Baracuda Point, Sipadan Island, Malaysia). The only photos of Gold Stripe Maroons in the wild that I am aware of are from the Adaman Islands, in the Indian Ocean (see examples #1, #2, and #3). And once again, for my jargon nuts – could we really be looking parapatric speciation at work here? The question is open for debate. 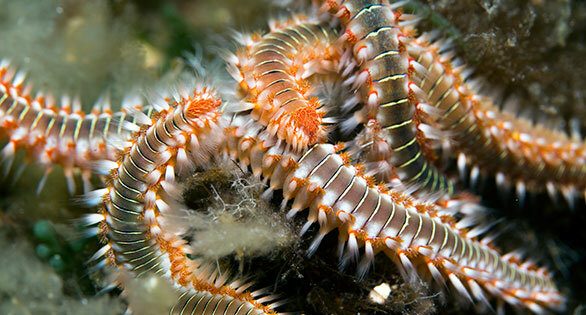 It should be pointed out that the Gold Stripe Maroon, and White Stripe Maroon, outwardly appear the same as juveniles (interestingly, for a brief time, so do the juveniles of A. ocellaris, and A. sp. “Darwin”). 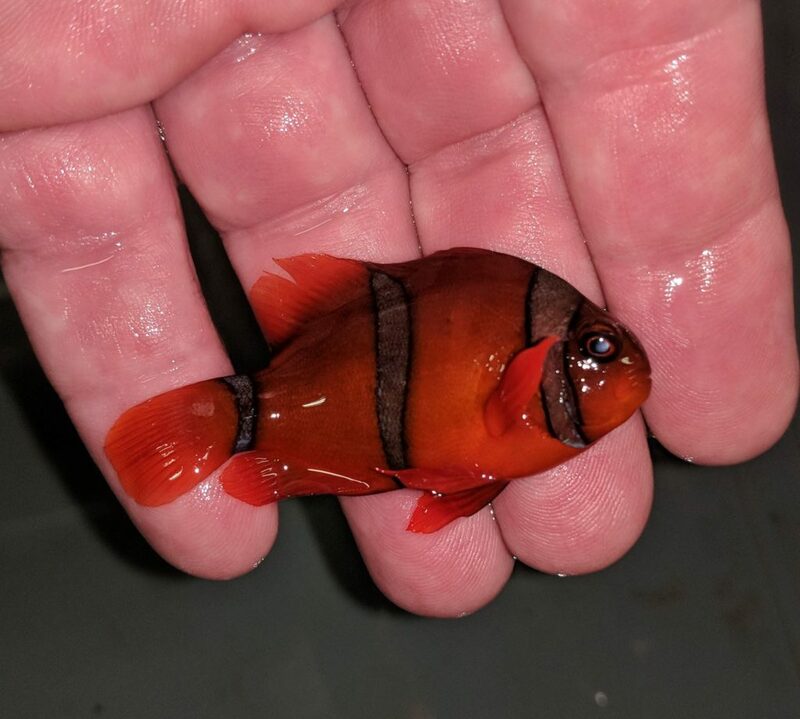 Gold Stripe Maroon Clownfish take a year or more to develop their yellow stripes, and until then the only way to tell them apart is to “trust your source”. 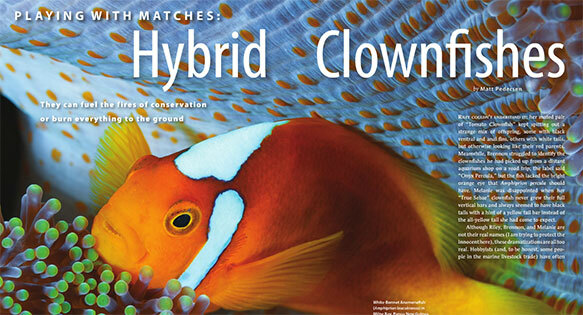 There is danger in this, as hybrids between the two forms would be impossible to differentiate if passed off as either species, and in the end, at maturity, if coloration is somehow “intermediate”, hybrid parentage might not be the conclusion that breeders and aquarists ever think of. 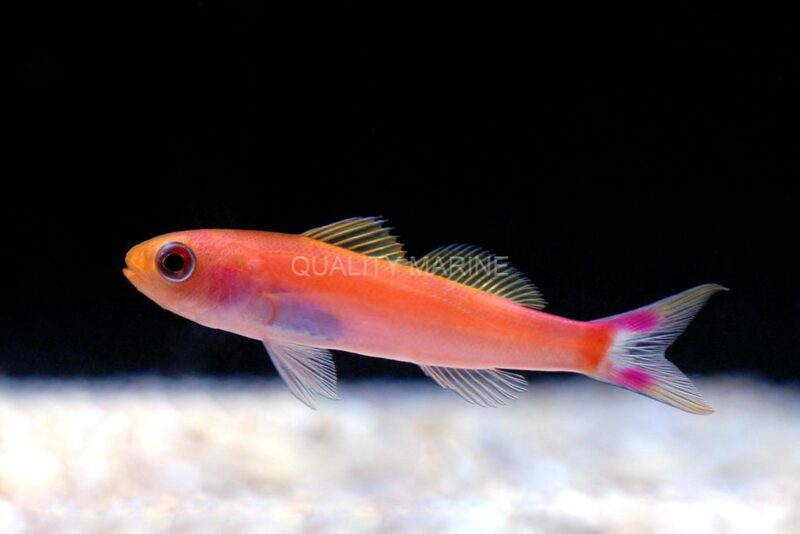 Having been recently told by a novice breeder, working with a hybrid GSM/WSM pair, that he would be selling off their offspring as either White Stripes or Gold Stripes depending on what they looked like, I am worried that this is the tip of an iceberg that freshwater aquarists know all too well. 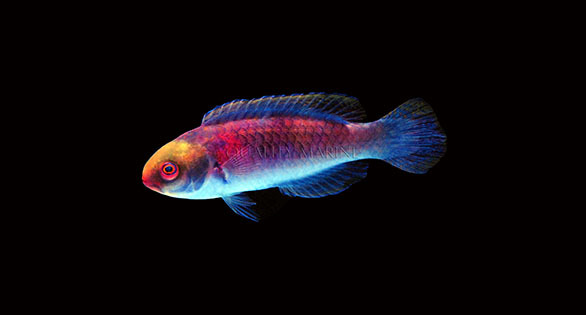 By the time you find out your fish “aren’t looking right”, by then, you’ve already invested a year in growing the fish, and you’re left wondering why they didn’t turn out like you wanted. Once again, I find myself demanding that we collective have a better understanding of the natural biodiversity of our Anemonefishes. Taxonomy doesn’t always have it right, or at the very least, it doesn’t always go deeply enough. The White Stripe / Gold Stripe dichotomy is a perfect example of that. Never mind that, upon closer examination, it appears there may actually be three distinct forms of Premnas spp., and not two as we’ve come to think of them so far. But that’s for another installment.